Many time organizations get stuck in a situation where they desire to adopt a reliable managed security service provider for their premises but, they get confused. Seeing n number of options with different costing and offerings, enterprises feel like a hurdle when they search for one best MSSP service. Therefore, here we came live with this post to aware enterprises with one of the suitable managed security services software i.e., SysTools MSSP Solution. So, here in this review page, we are going to illustrate only those services that we found brilliant. This solution minimizes the risks of IT security and protect the crucial business content from its sudden exposure. It reduces the overall costing and complexity in an effective manner, keeping customers safe from the headache of enterprise security architecture. A broad range of proactive operations can be addressed that provides internal as well as external protection to the enterprise content. 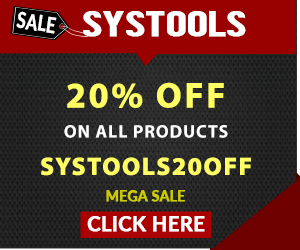 This is not a product page that we will describe all services of SysTools MSSP! We are simply going to illustrate one service offered by SysTools, which we in actual found different from all others. The ‘Digital Forensics Services’ rendered by SysTools is really amazing. This service is something for which people migrate here and there when they suffer from cybercrimes. And see what, SysTools MSSP is rendering this service to its clients in the list of IT-security-as-a-service solutions. SysTools is having an investigation team who performs deep analyzes on the occurrence of threats. The major motive of this service is only to expose and address the purpose of attack via electronic malicious content. The investigation procedure is also performed in a smart and systematic manner, which comprises three core operations to be carried away. The name of these 3 operations is – Collect, Identify, and Validate. All these activities are performed on digital information collected by the investigation team from the location where cybercrime was caused. Being into the MSSPs, SysTools on its own gives this forensic services in several arenas like mobile forensics, desktop forensics, email app forensics, etc. Wait Something Surprising Is Also There! Do you know what – SysTools renders its forensic services on wheel! Yes you read absolutely correct statement from your eyes. SysTools is now available with the doorstep forensic services only for its clients of managed security services software. The investigation team will come to your place and try to solve the case at that time itself. If in case the advanced investigation procedure needs to be carried away, team will collect all the essential data and then, analyze the digital content in their laboratory. Meanwhile, the team will recommend some security measures that are to be followed for continuing work even after the threat occurrence. This means that the forensic procedure is not going to hamper the ongoing business operations. In fact, if in case clients demand for any assistance, SysTools team of experts is always there to serve them. We declare that SysTools managed security service software is one of the best MSSPs in today’s date. It comprises of all those technical features within it that are needed in an organization for managing business data security. As per our research, we would like to rate 9 out of 10 to this app because we believe that SysTools team can come with more astonishing features for their customers. Alike the other customers, we are also waiting for the same but, as of now SysTools product is superb for dealing with IT security risks.